It’s been a long time since I thought of you. It hurt when I burst you— not just for you, but for myself as well. I was young and foolish then, and now I can only think of you fondly. Every person who has experienced a failed light bulb DIY fix. And there you have it. 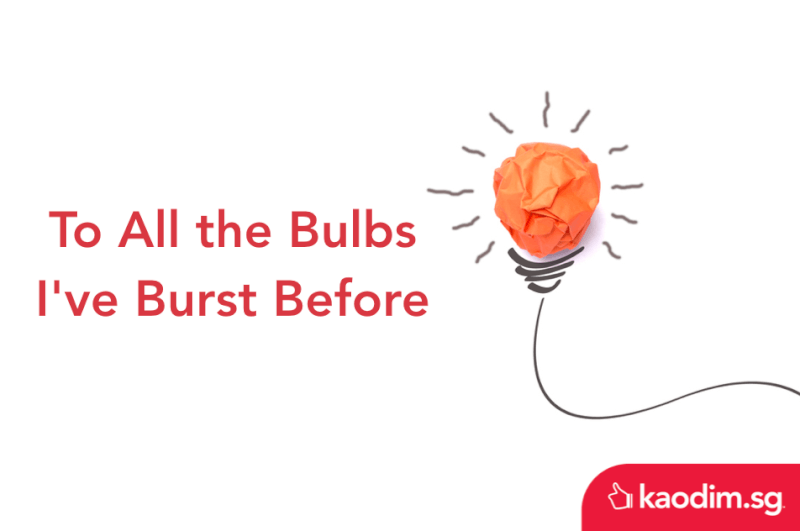 Sure, you can (try to) replace a blown bulb yourself, but anything more serious than that is best left to the experts. Put that screwdriver down, and get a free quote from Kaodim today!